We're not expecting too many surprises when the Google Pixel 3 and Google Pixel 3 XL are unveiled on October 9. The two phones have been heavily leaked and now we’re getting yet another look at them, this time with renders showing off both the black and white color schemes. Shared by leaker Roland Quandt on behalf of WinFuture, these are apparently official renders, but they don’t really show us anything new. There’s also no sign of the rumored mint shade, though that doesn’t necessarily mean that it doesn’t exist. On the other hand, the power button on the white model is mint, so that might be the most of that color that we’re getting. 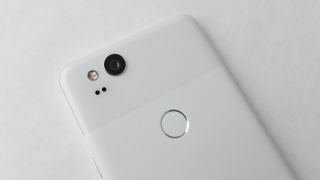 What you can see is that the Google Pixel 3 XL has a large notch, while the standard Pixel 3 has a full top bezel, and both phones have a large bezel at the bottom. They also both have a two-tone back with a rear-facing fingerprint scanner, a dual-lens front-facing camera and a single-lens rear camera, all of which has been rumored and leaked plenty of times before. Along with the images, the source also reiterates many of the rumored specs and features, including a glass back, 8MP front cameras, a Snapdragon 845 chipset clocked at up to 2.8GHz, and 64GB or 128GB of storage, but no microSD card slot. The screen meanwhile is said to be a 6.2-inch 1440 x 2880 one on the Google Pixel 3 XL and a 5.5-inch display on the standard Google Pixel 3. As ever we’d take all of this with a pinch of salt, but these images and specs line up with numerous earlier leaks, so we’re quite confident that they’ll be at least mostly accurate.